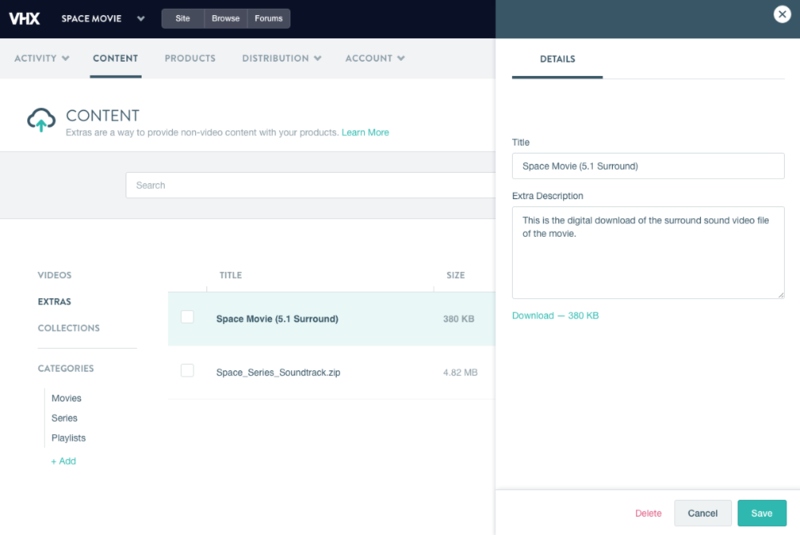 What kind of files can I upload and sell as Extras? How do I upload Extras? How do I add Extras to a purchase/rental Product? How do I add Extras to a subscription Collection? 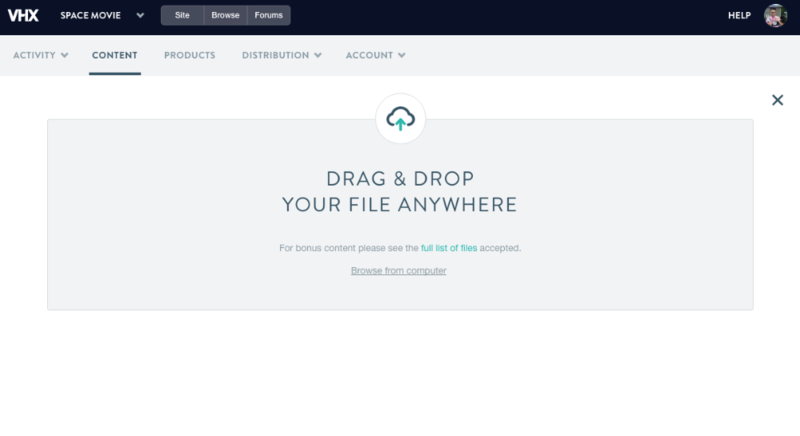 zip - You can basically put ANY type of file inside of a Zip folder, so if we don't accept the file you want to upload, put it in a zip folder first, then upload it! 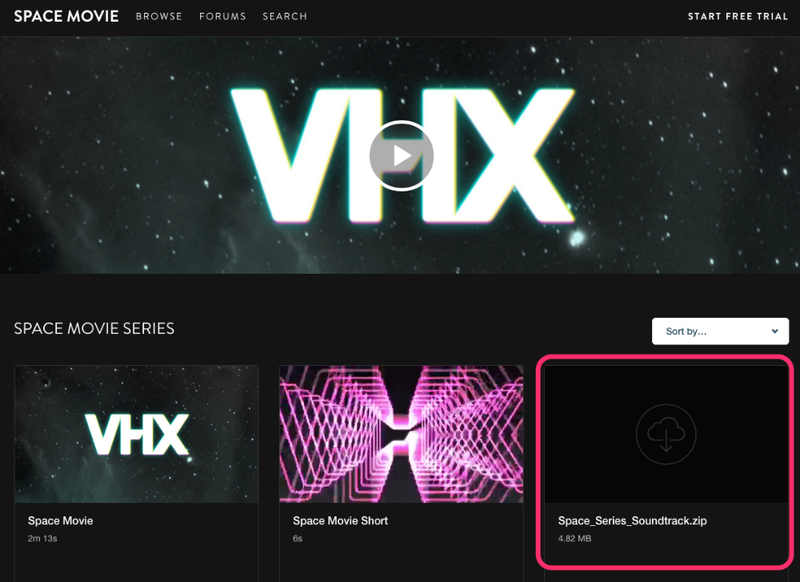 Head to the Content tab of your Vimeo OTT Admin and click Extras. 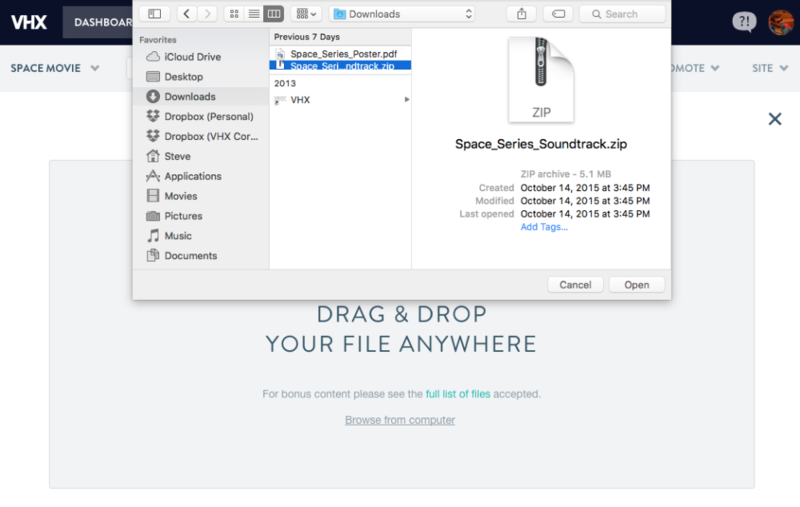 Drag & drop your digital file from your computer right into the page, or click Browse from computer to select the file from your computer. The file will upload to Vimeo OTT and you will see a progress bar of the process. Once uploaded, you can click any Extra and edit its Title & Description. These get displayed to the customers on the checkout pages. 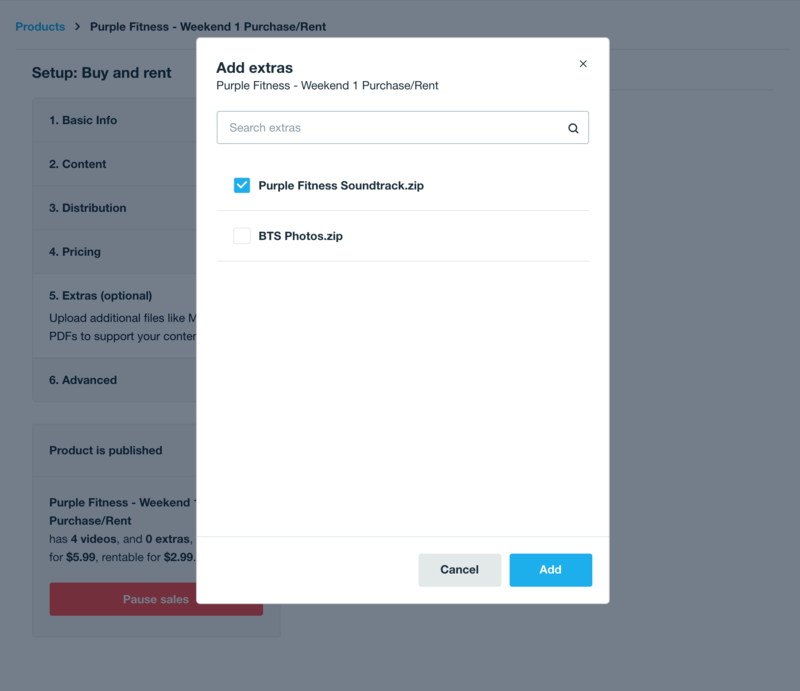 Read below on how to add them to a purchase/rental Product or a subscription Collection. 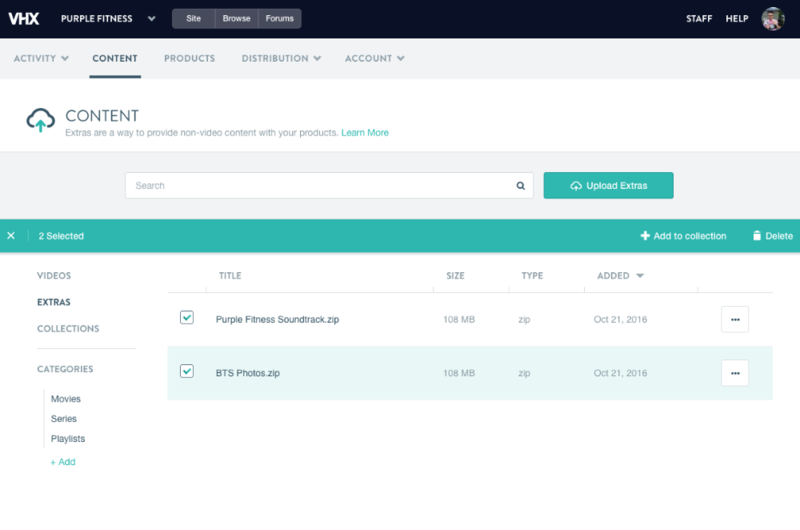 Navigate to the purchase/rental product you wish to add the extras to on the Products page. Click into the desired product to edit it. Add the Extras to the product by clicking the checkbox next to each item. Click Save on the collection to add the Extras to it! 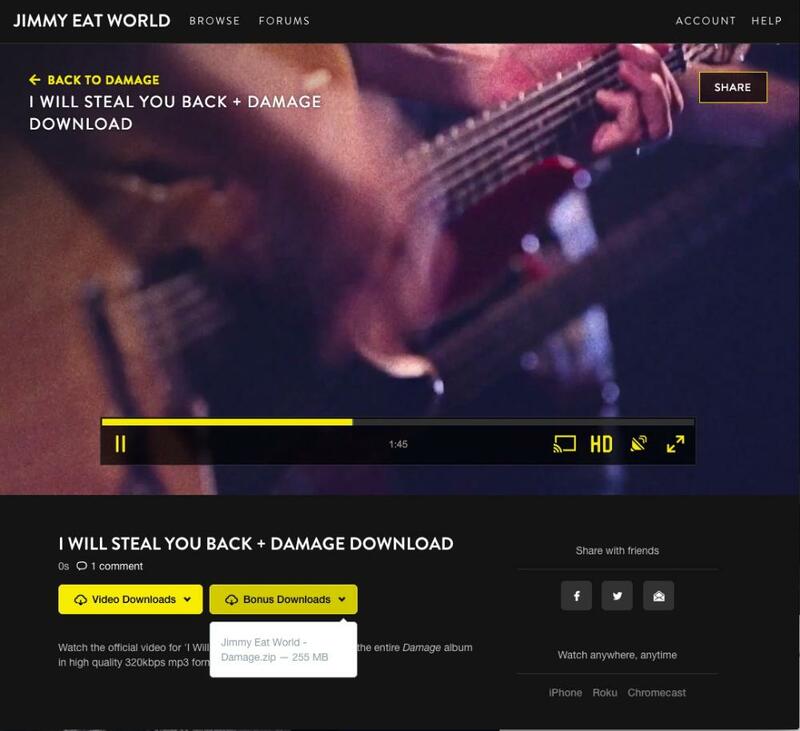 The Extras will then appear on the Checkout, Browse, & Video pages. 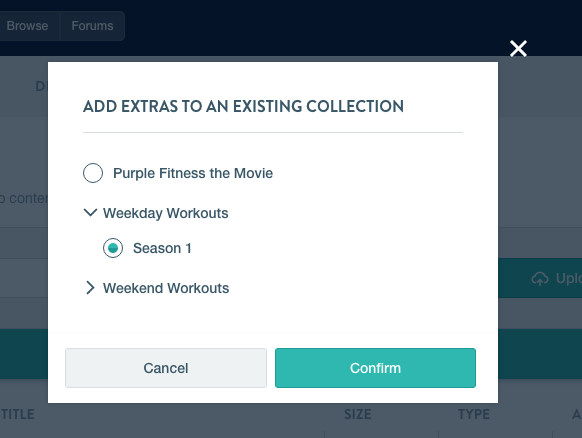 Adding Extras to a Collection takes place on the Extras page. Check the Extra(s) you want to add to a Collection by clicking their checkbox. Click the Add to Collection button in the green banner that appears up top. Select either New collection or Existing collection. 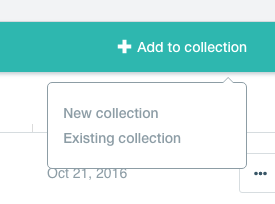 If you chose Existing collection, then select the one you want to add to and click Confirm. Can I deliver my content in bulk?